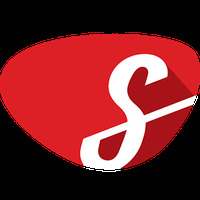 Slacker Radio Android - Free Download Slacker Radio App - Slacker Inc.
"Music stations for all tastes"
App description: Slacker is a music application that gives you access to hundreds of radio stations via your device. Functions: Lots of stations (music, sports, comedy, news), and with the customization you can download and listen to free music, deals. It lets you listen to music without being interrupted by ads. Controls: Simple and neat, easy to navigate interface. Recommendations: People who like to listen to music on the device. After the last update, it is no longer possible to block songs from artists you don't like. The light colors consume a lot of battery power. Only allows registration in the U.S. or Canada. Do you like Slacker Radio?